It is an inspiration by Richard Hamilton in IVAM (Institut Valencia d'Art Modern ) . When I visited the modern art museum in Valencia I met with a toaster picture made by silkscreen print technics and then i decided to go to another step of this work. 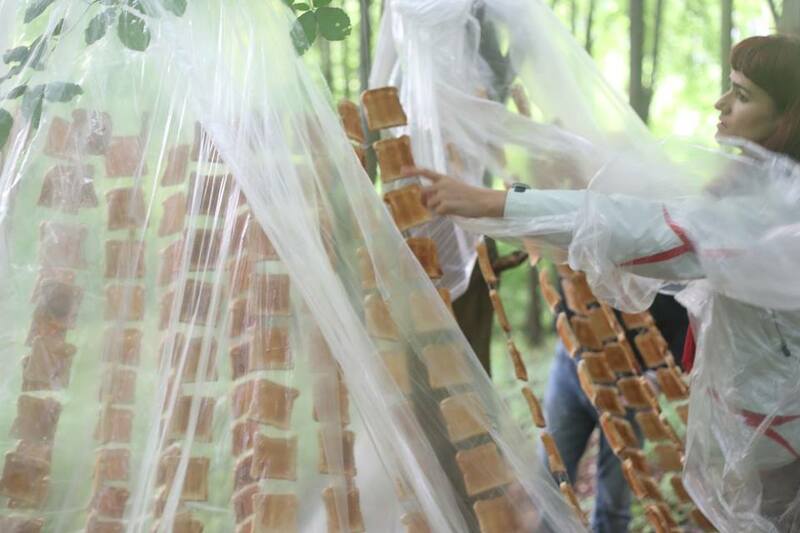 The idea was about a tent of toasted breads (flesh of Jesus ? ) which used as a fetish object (*fetish being the objects of personal attachment and comfort). 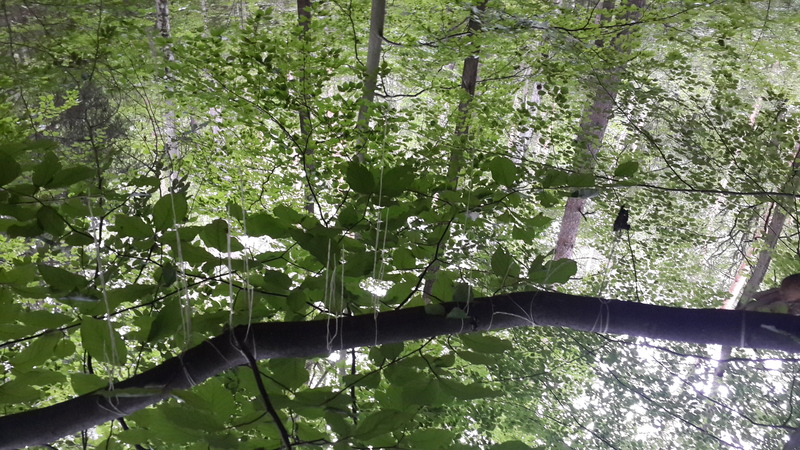 After that this installation became a mass for the birds in the forest. 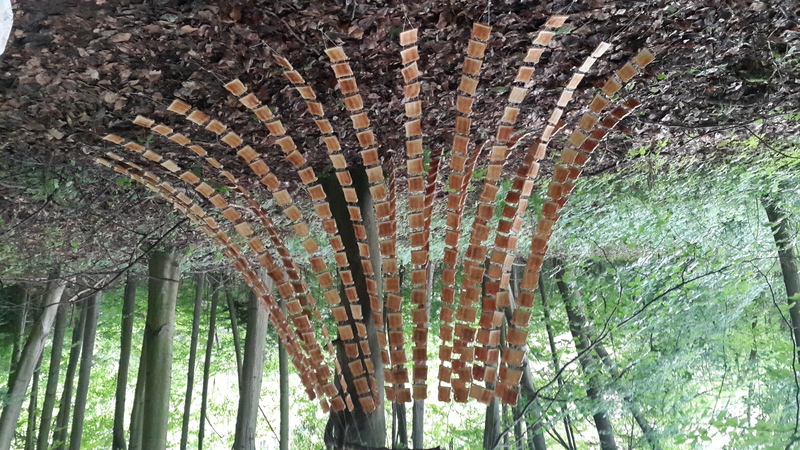 I used 440 toasted breads for my installation and the art work exhibited on the path of old monastary Kalvarie, Ustek Czech Republic in Open Studio group exhibition. 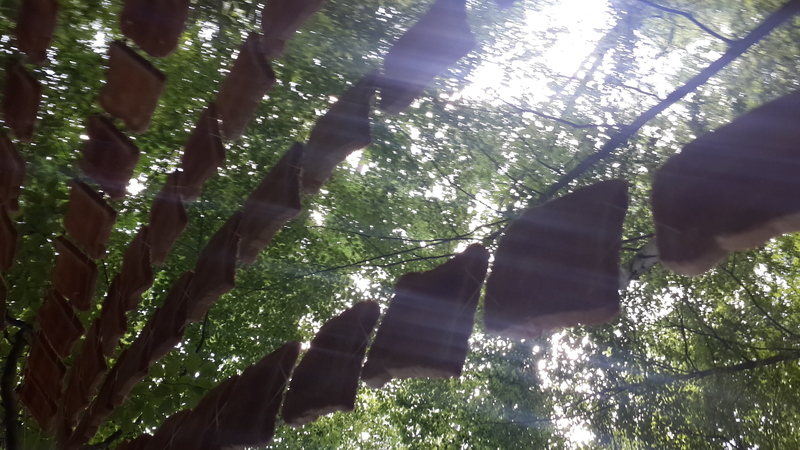 It was an experimental event in Kalvárie, a Catholic chapel and a frequently visited pilgrimage site on the top of a hill in North Bohemia. The people of the OpenStudio7 Collective were challenged to answer questions such as: What is religion for you? Where do you hide in your mind when you need support? 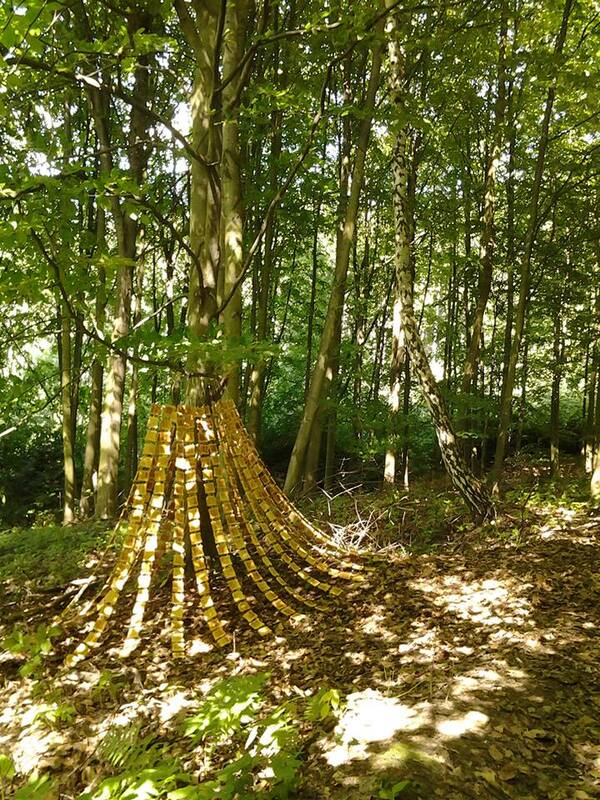 What would be your personal pilgrimage? 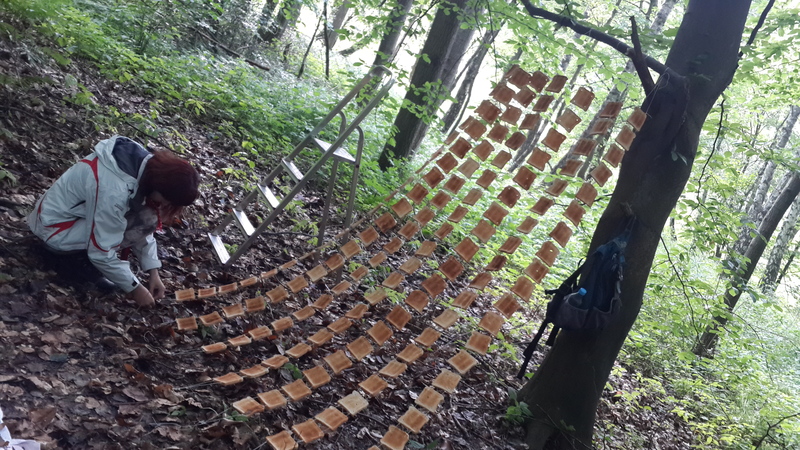 I have checked my installation a few weeks after and all toasted breads was eaten by the animals in the forest. 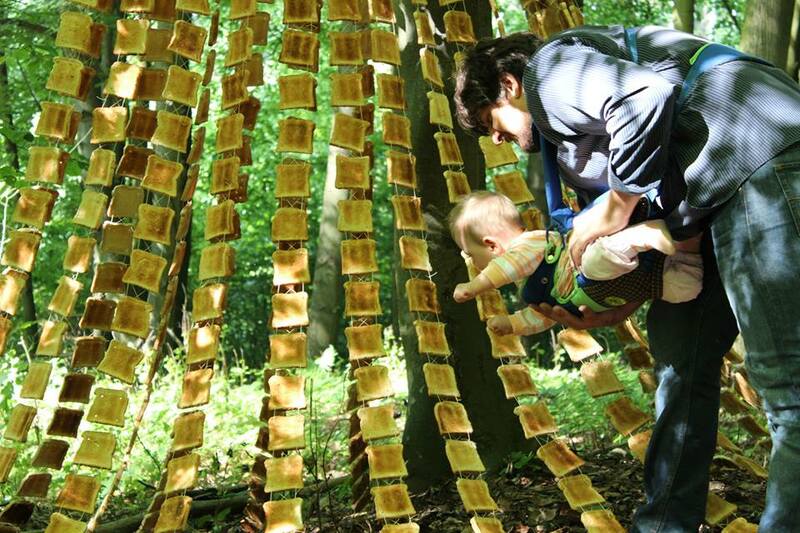 It was a kind of feast for the forest animals therefore the installation accomplished the artist's goal.